Should You Bother Filing a Water Damage Claim in Palm Beach? 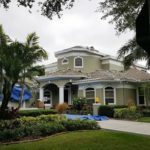 Palm Beach Public Adjuster in Boca Raton is On Your Side! 50% chance of a hurricane hitting the Florida coast in 2013. After the Storm – Now What?